Finally got a chance to go diving. 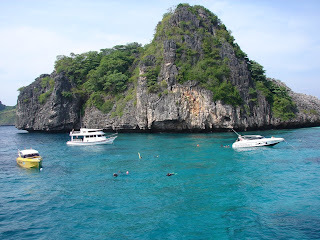 I did two dives on Koh Haa which means the five islands. 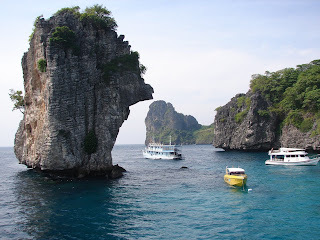 But as the dive instructor told us they are actually six islands. 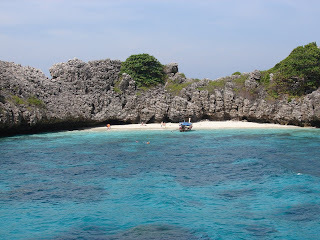 Only one island has a small beach and most of the island are large, tall rocks which protrude out of the Adaman Sea. The diving was really good. 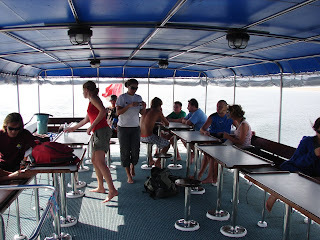 We only went to about 17 meters deep and the visibility was excellent. 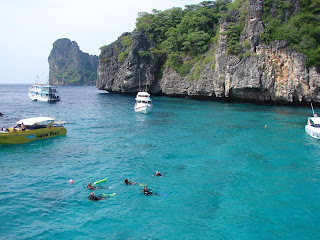 We saw almost every type of fish possible, beautiful coral walls and an octopus running along the coral to escape the approaching divers. On my second dive I stayed down for 61 minutes which is a personal best for me since I used to breathe too quickly but finally have slowed my breathing way down.